I purchased this book during one of my trips to Target. I had been wanting to read it since it was getting good reviews and I’ve been wanting to see the movie. I refuse to watch the movie before reading the book. Anyone else agree? Well, this is being added to the list of book reviews I need to catch up on. Wedding planning is in full swing, so book reviews have been pushed back. The fiance and I just sent out the save-the-dates and we have our menu tasting this Saturday. I’m really excited to try the food that we will have at our wedding, plus I just love good food. If you’ve read this already, let me know what you think. I am halfway threw reading this book, but I am not really enjoying it so far. 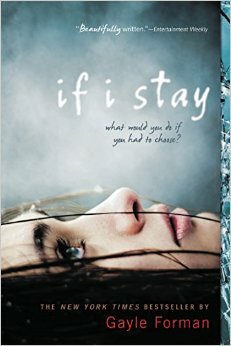 I think it is just another pretentious teen story, but hey, maybe it will get better. No problem, thank you too!